(ClixsenseSuccess.com) You are about to read my 100% honest Scarlet-Clicks Review . Scarlet-Clicks is online since 2009, which is close to 7 years now. You can use this PTC website to earn extra income online, but unfortunately is a slow earner ptc. Scarlet-clicks is a safe PTC site and allows you to have unlimited direct referrals which is a good thing if you have plans on working with this ptc site. This ptc website is also featured in the best ptc sites article, where I host the best ptc sites for new members to join. Scarlet-clicks owner is the same owner of Gptplanet.com. The owner is Dimitrios Kornelatos. Both are legit PTC websites that offer their members the opportunity to earn extra money online by clicking and viewing the advertisements that marketers publish there. This website has passed the test of time for being online since 2009 and paying. As of writing this review, scarlet-clicks.info has over 350 000 members. Scarlet-clicks is a very good ptc website and I recommend joining it. Scarlet-clicks allows you to earn using 5 methods. by using their paid to sign up (PTSU) program to get paid when you join different programs. Fast Payments: scarlet-clicks.info is online and paying its members since 2009. Payment from scarlet-clicks.info gets to you within 7 days of request. Have been online for long: The age of a PTC website is very important when determining the PTC site to join. scarlet-clicks.info has passed the test of time because it has been paying since 2009. Most PTC website don’t last that long, they pay for a few months and stop paying. I think scarlet-clicks is a website that is here to stay. Low minimum payout: Payouts are made through Paypal and Payza which are generally low. Minimum payout is only $2. There is forum: There is a forum where members can discuss and ask questions about the ptc industry in general. New members can get an idea of how the program works. Having a forum is very important because it promotes the admins and the websites legginess. Unlimited referrals: There is no limit to number of people you can refer to this website which I think is a good opportunity for anyone who knows how to market online to make a lot of money. Other ptc websites limit the number of direct referrals you can have, to force you to rent referrals (bots) from them. Cool features: The website offers a sign up bonus for new referrals which is $0.05 to $0.25. You can also play their game called ScarletGrid daily which you can earn up to $5. You get credited as soon as you win and numbers of chances depend on your membership status. Most ads are self sponsored: The administrator sponsors most of the ads that are found on the website. There are not put there by ”real” advertisers. That means, the site depends on its affiliate links to be able to pay its members. One of the most important rules of success and continuity for any PTC website is to have a steady stream of advertisers and new members. If any of the two factors declines then the ptc website is in great danger of not being able to sustain it self. Slow earning: If you are free member, you can’t earn much. 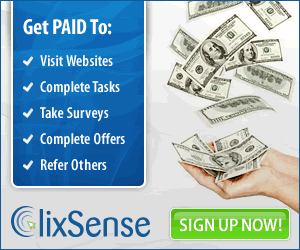 Most of the ads available for free members are between $0.0005 and $0.001 per click. Earnings are low and slow when there are no direct referrals in your down line. Rented Referrals: I don’t like websites who offer rented referrals because rented referrals are bots. I consider the websites who offer this option to scam their members by not telling them the truth about the rented referrals system. Many Upgrade Levels: Scarlet-clicks.info has many upgrade levels (4 total). To unlock the full potential of scarlet-clicks, you need to pay $640 (Diamond level). This is something that I don’t like. Scarlet-clicks.info is in general a good PTC site and it is operated by a trustworthy administrator. The only thing that you need to be aware is that it is a slow earner and it doesn’t have many advertisers which may bring problems at the future. Having a trustworthy administrator though is the most important thing because even if things go bad he is going to pay its members. Thank’s for the notice Tessa. I’ve fixed it.